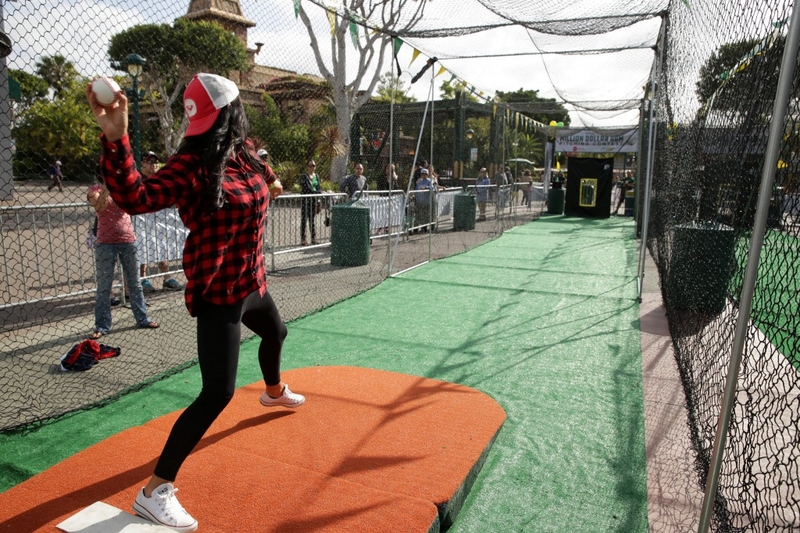 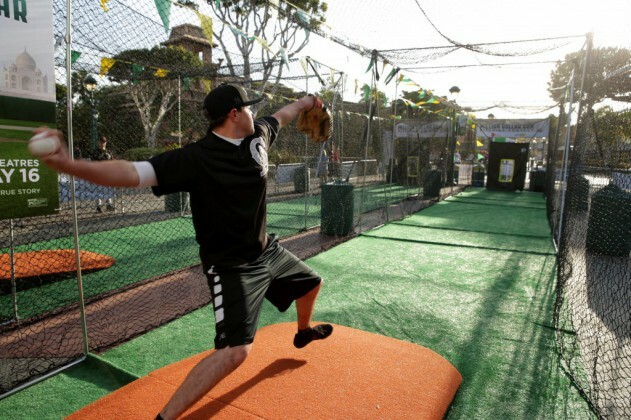 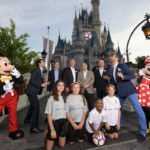 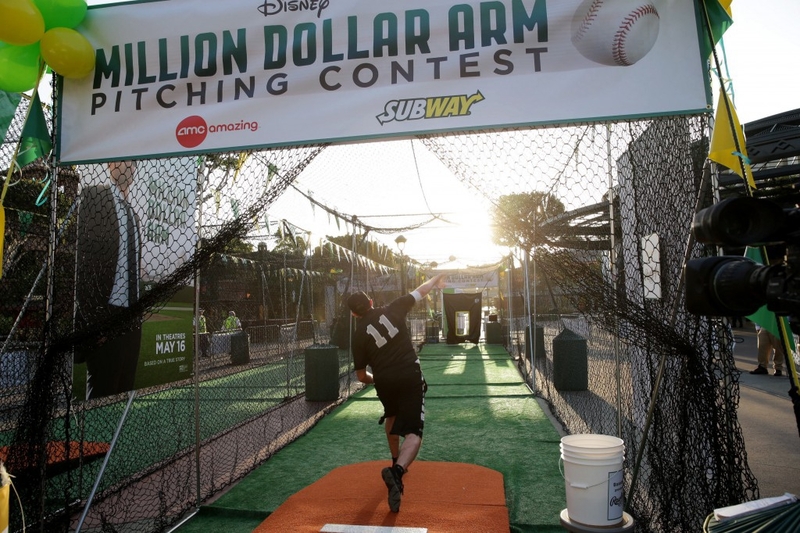 People from all over competed in the first qualifying round of the contest today at Walt Disney World® Resort in Florida and Disneyland® Resort in California. 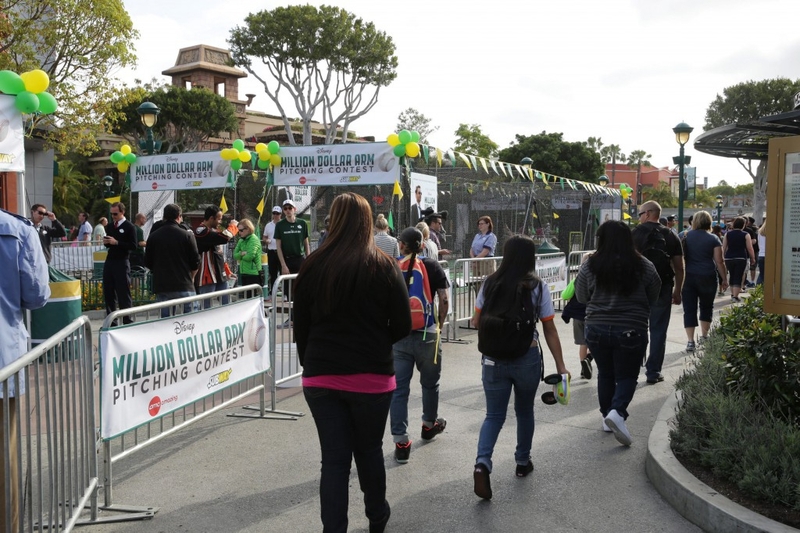 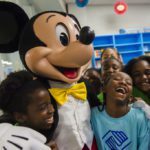 There is still time to participate, the qualifying rounds continue tomorrow at Walt Disney World® Resort in Florida, Disneyland® Resort in California as well as in Tribeca at the ESPN Sports Day at the Tribeca Family Festival in New York City. 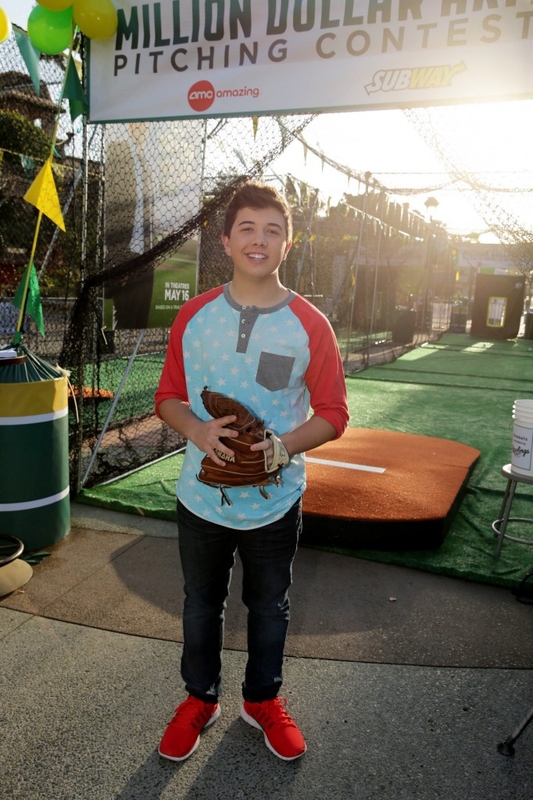 All participants received tickets for themselves and a guest to see an advanced screening of the film. 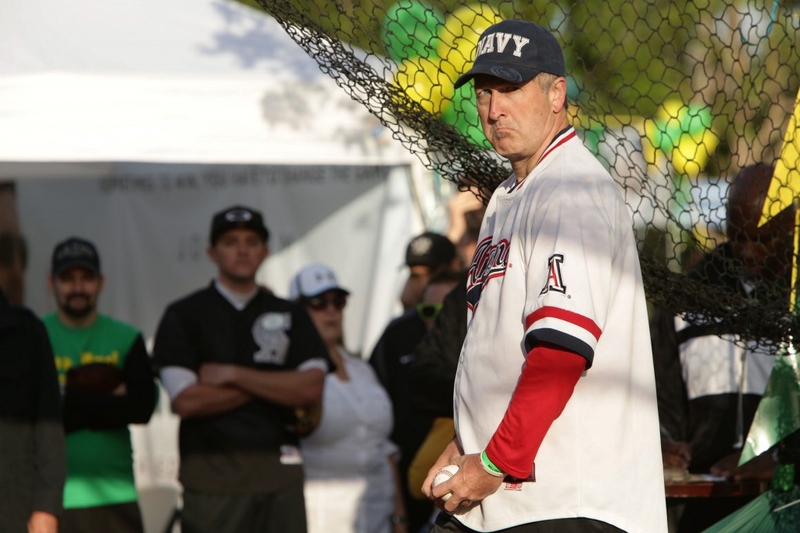 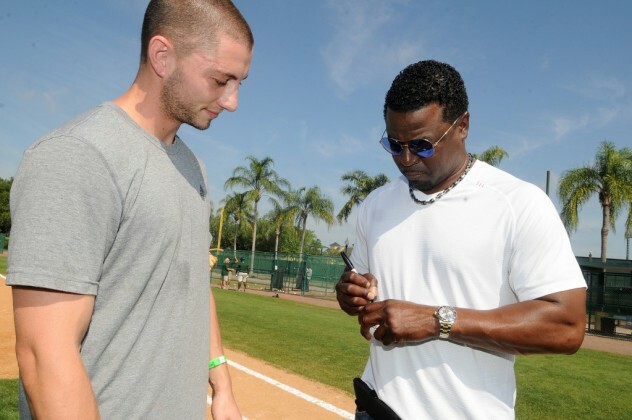 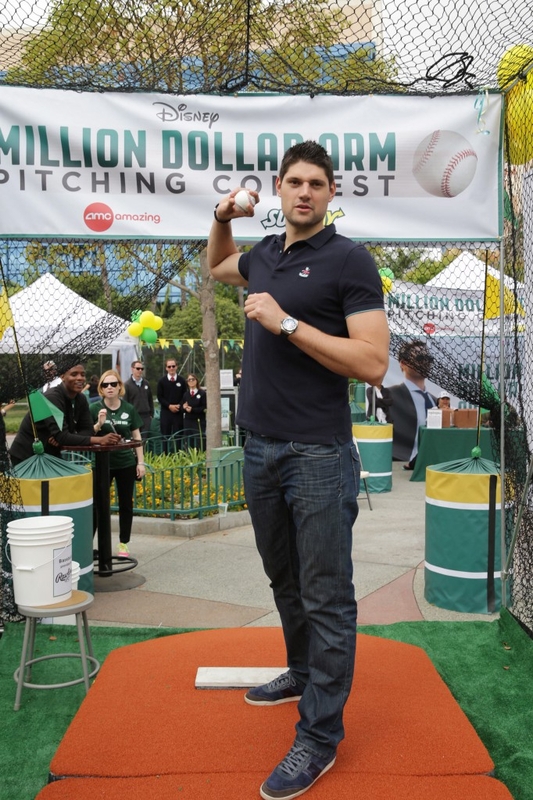 Tom “Flash” Gordon (3-time MLB All Star, World Series Champion and 1998 Saves Champion) attended the contest in Orlando and 7-foot center for the Orlando Magic, Nikola Vucevic, who was a first round draft pick out of USC actually entered the contest. 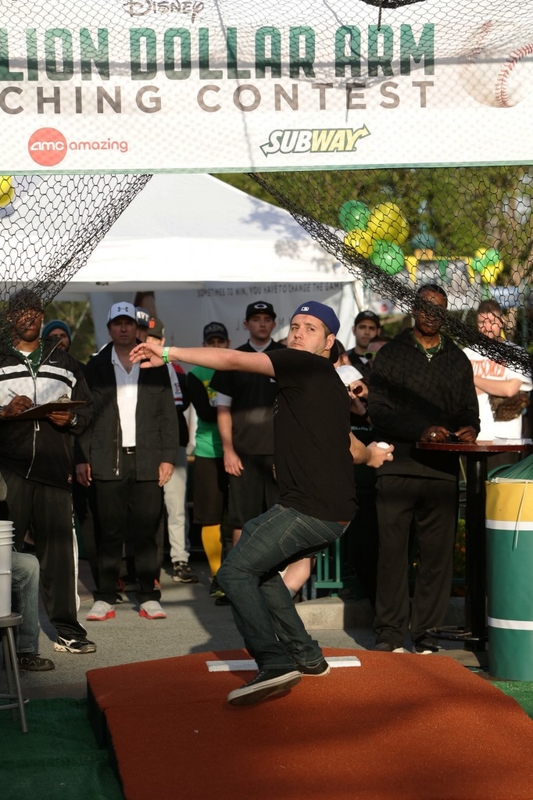 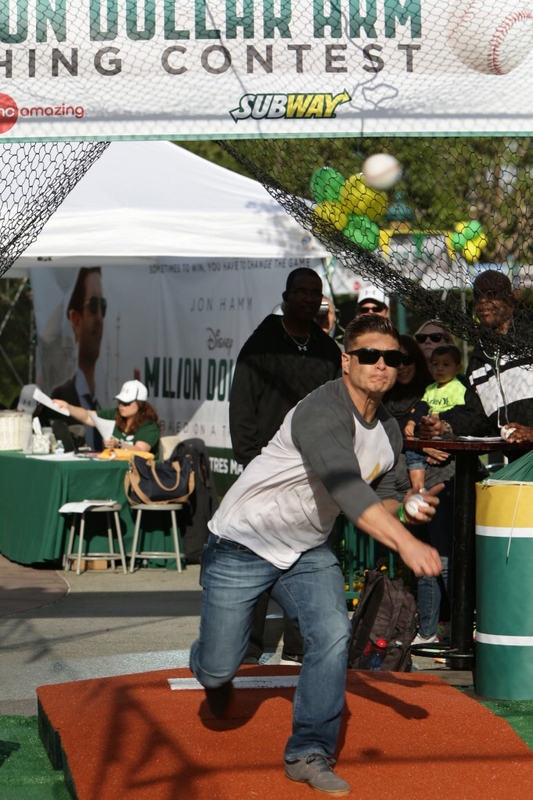 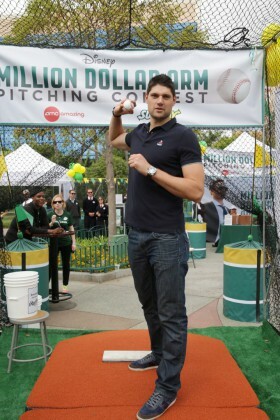 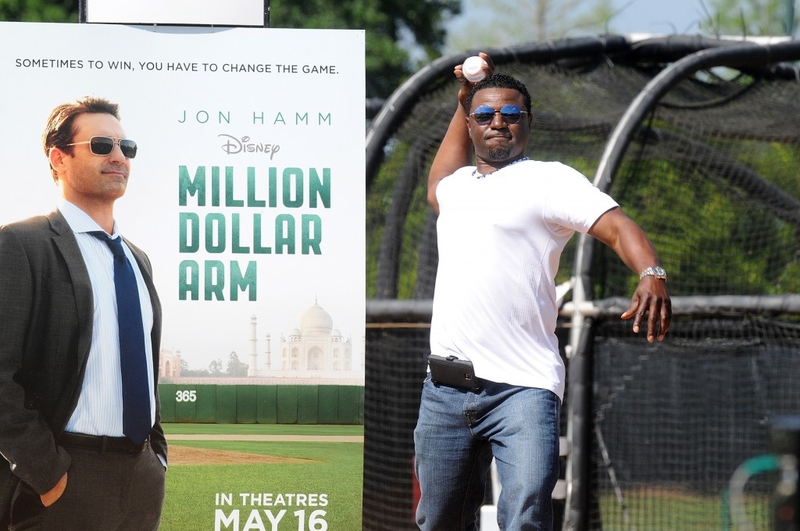 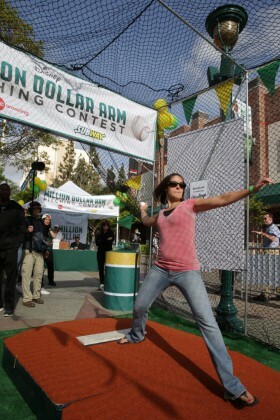 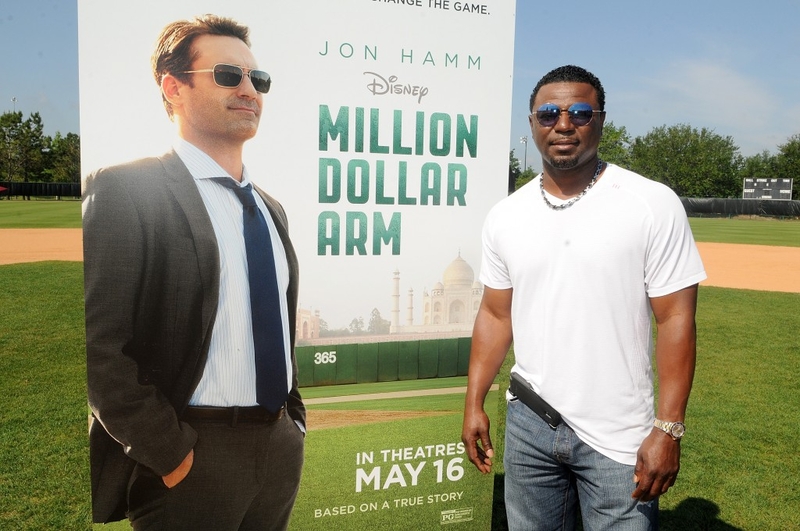 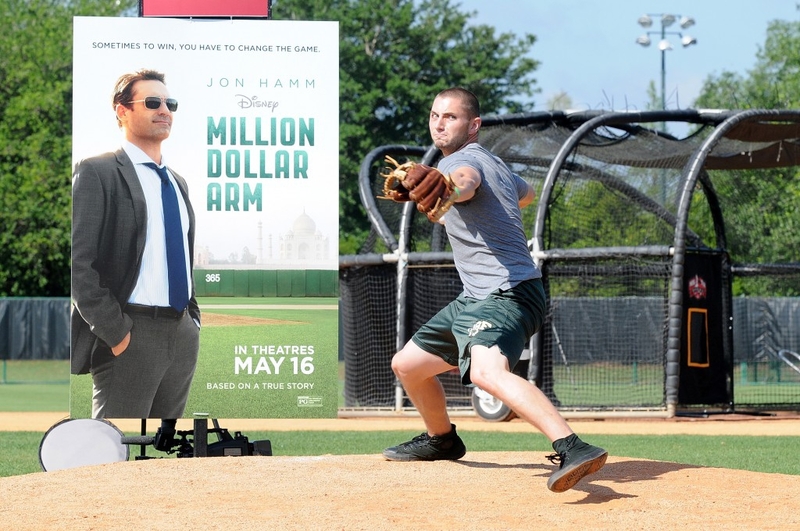 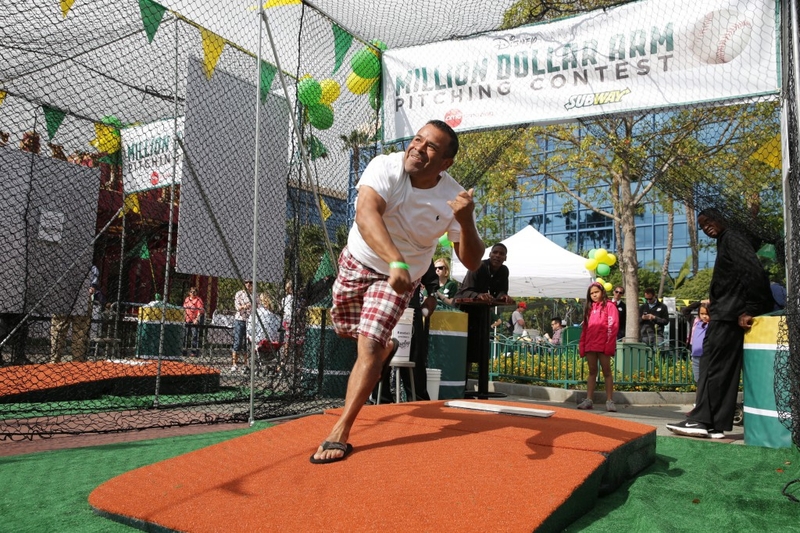 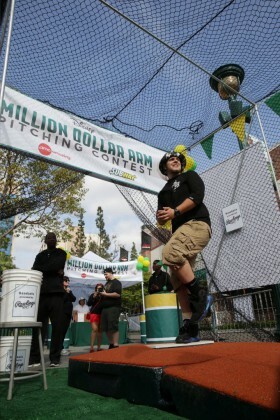 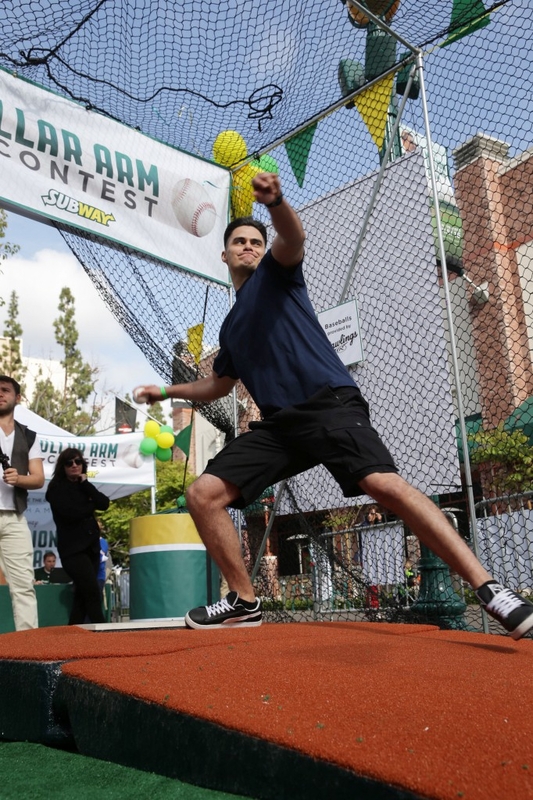 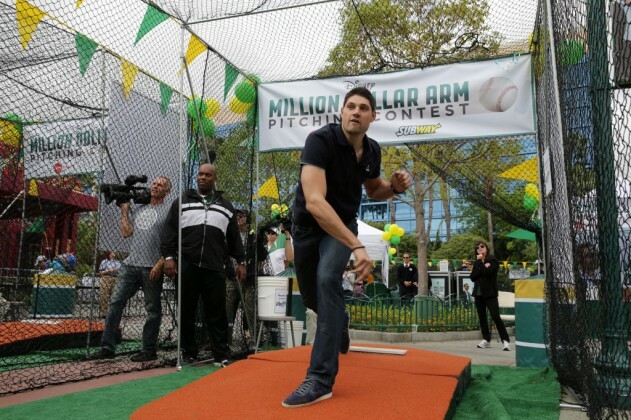 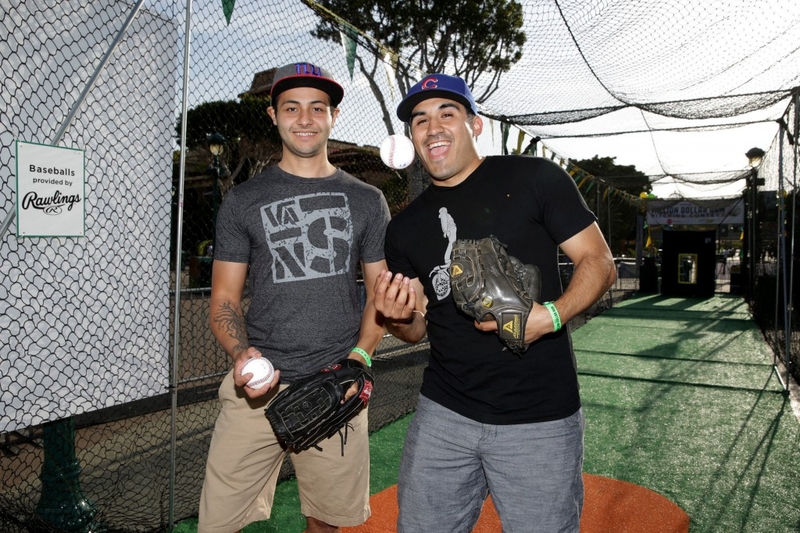 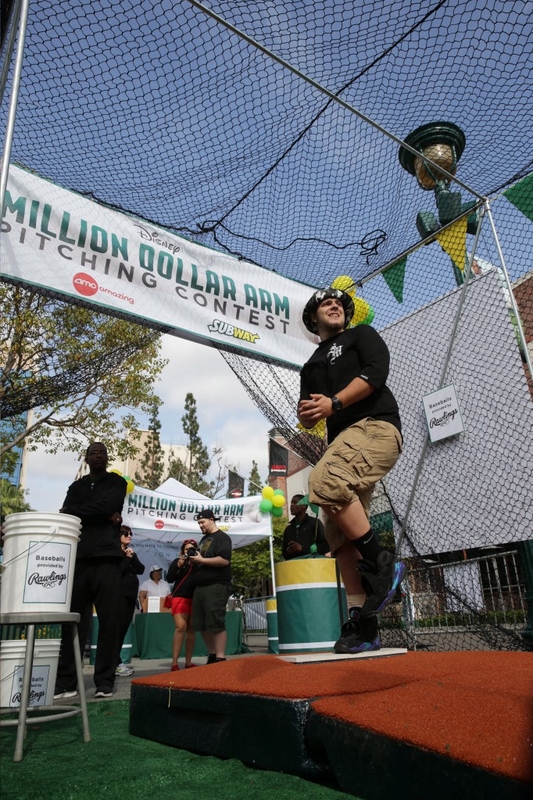 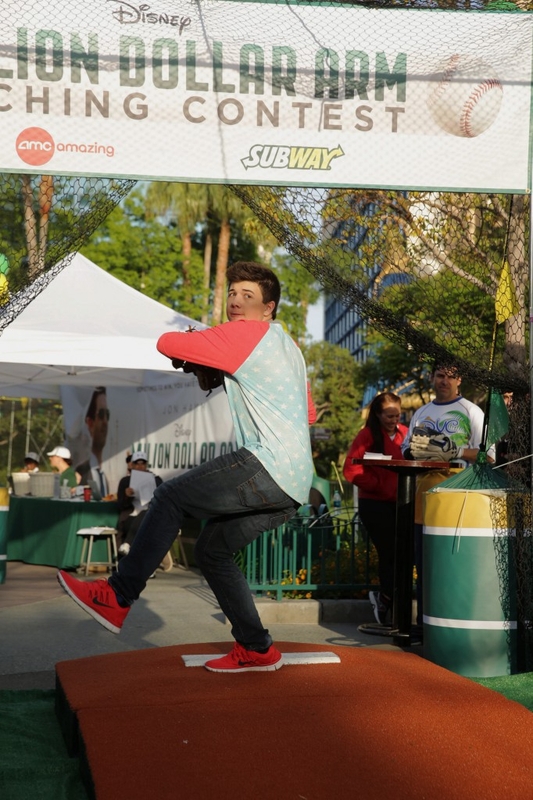 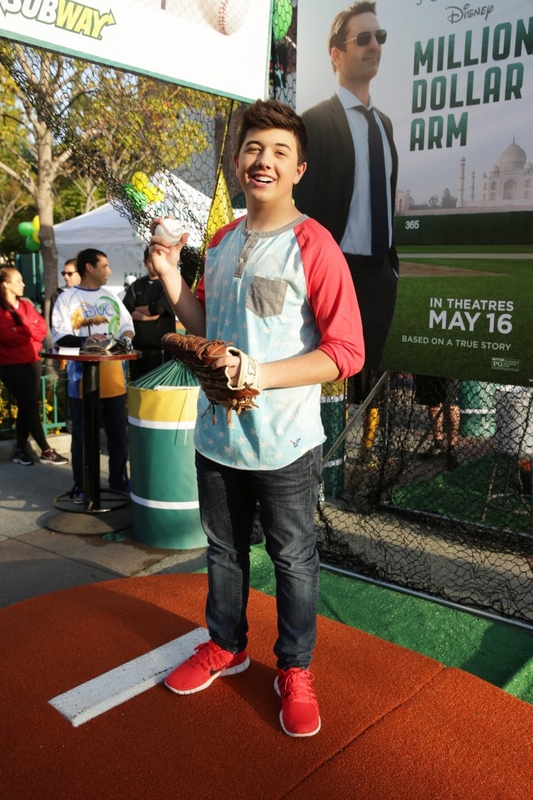 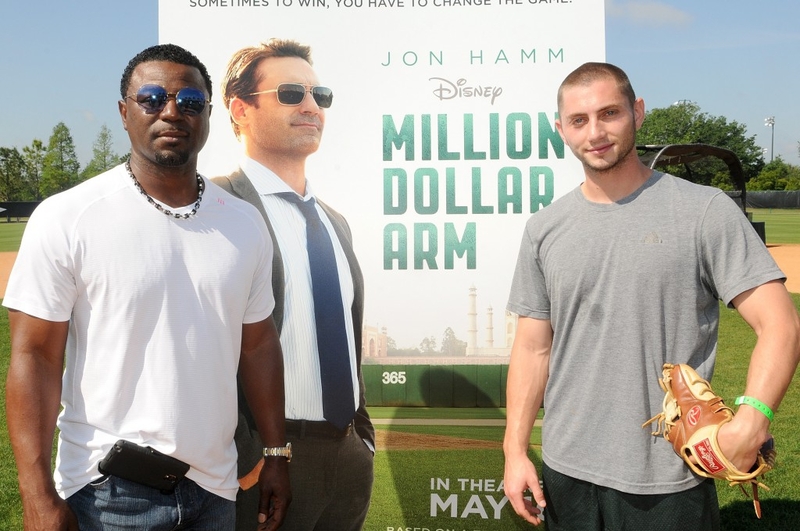 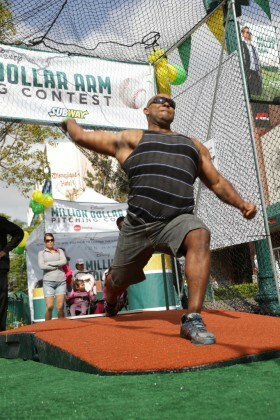 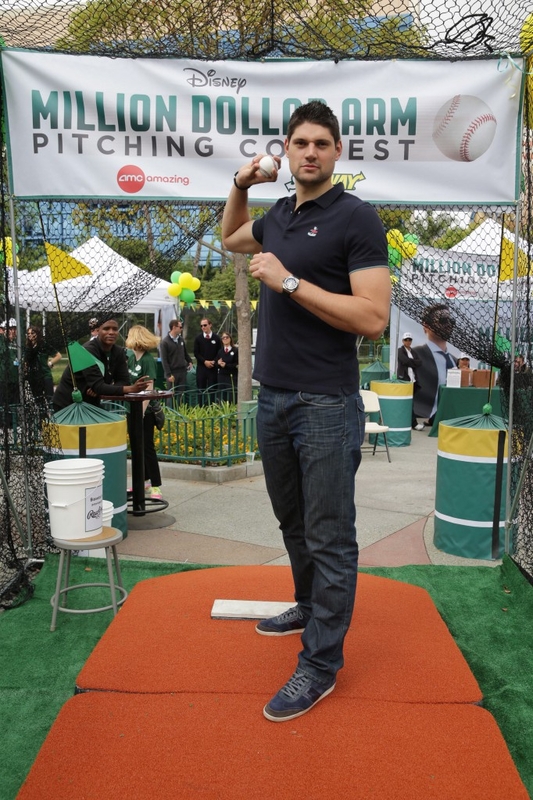 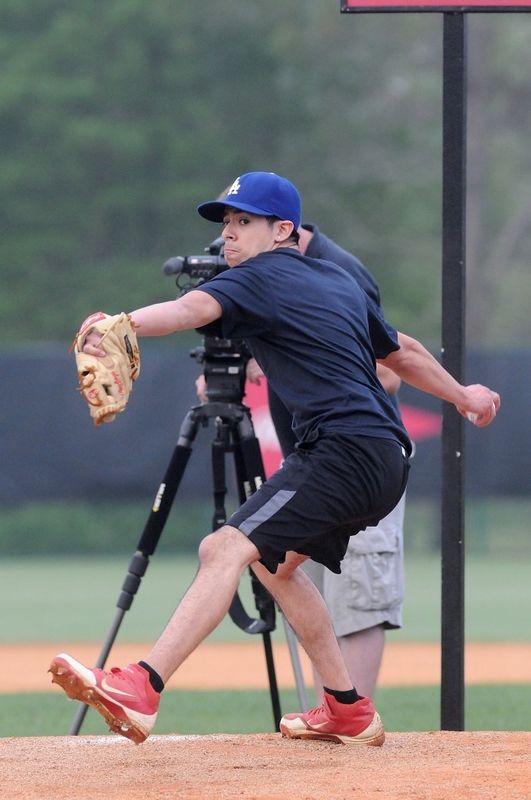 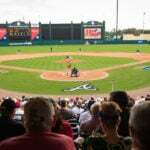 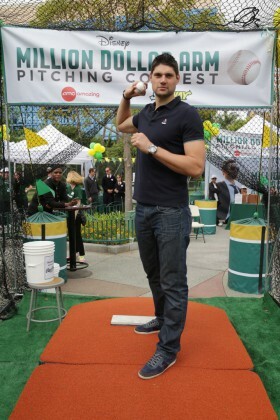 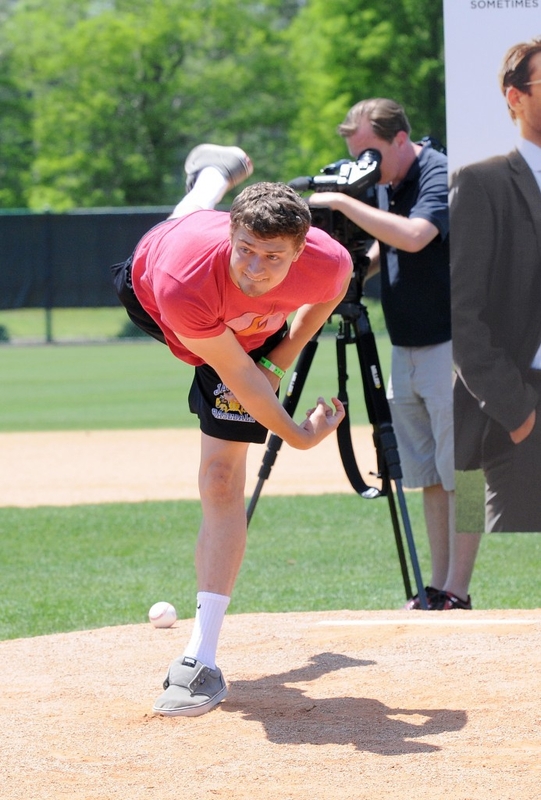 The top three eligible pitchers from each qualifying round will be flown with a guest to compete for the $1 million in the final contest, which will take place at the world premiere of MILLION DOLLAR ARM on May 6th in Hollywood, Calif.